Honda Jazz facelift : Honda has already revealed the Facelift of Jazz back in May 2017 in Japan. That Particular car was expected to launch in India in 2017 Festive season but with the high demand of WRV , Honda India changes its mind and holds the Launch of Facelift of the Jazz. The WRV is based on Jazz Platform and selling in good figures in India , also both the Cars share same engine options and most of the parts pf WRV are identical to Honda Jazz. Now the Reports are saying that the Facelift of Honda Jazz is all set to launch in India very Soon. A report in Autocar India claims that Honda India will Launch Facelift Honda Jazz 2018 by the end of July . There are very Few changes with the Exterior of Car , At the front , Honda Jazz Facelift 2018 Now gets a pronouncing grille and a slightly bigger logo.The facelifted model comes with New Alloys and the ORVM gets black colour for the sporty feel. Also the Design of the headlamp has been retouched and front bumper along with fog lamp position has been tweaked to accommodate overall changes.At the rear, there is a new Bumper with black elements which matches the ORVM and the Tail lamps get mild changes. The Japan spec Model of Jazz gets very much changes in the interior , these changes are also expected to take place in Indian Facelift Model as well. The Facelift modl comes with black-brown leather interior, with the brown hide on the seats, door cards and steering wheel. Also the new version may get automatic headlamps and an updated infotainment system with Android Auto and Apple Car Play. 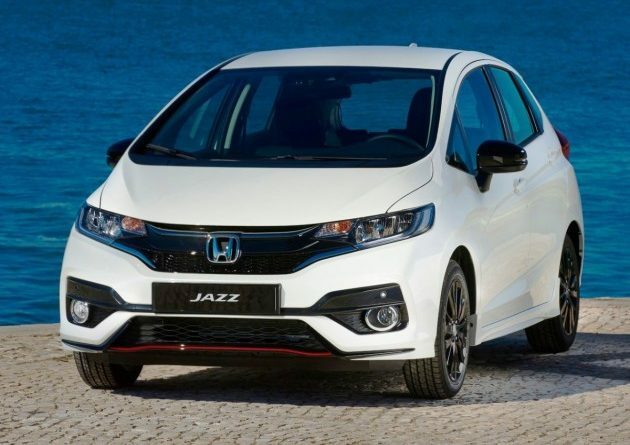 Coming to the Engine , The Honda Jazz Facelift is expected to get No Mechanical Changes , the car is expected to come with Same 1.2L i-VTEC Petrol Engine which generates the power of 90bhp with a torque of 110Nm at 4,800rpm. The Diesel Model will get 1.5-litre i-DTEC engine with 100bhp of power and 200Nm torque. The Honda Jazz facelift will compete with Maruti Suzuki Baleno , 2018 Hyundai Elite i20 , Maruti Suzuki 3rd Gen Swift and VW Polo. It is also expected that the Car will attract the Buyers of its elder sibling Honda WRV.